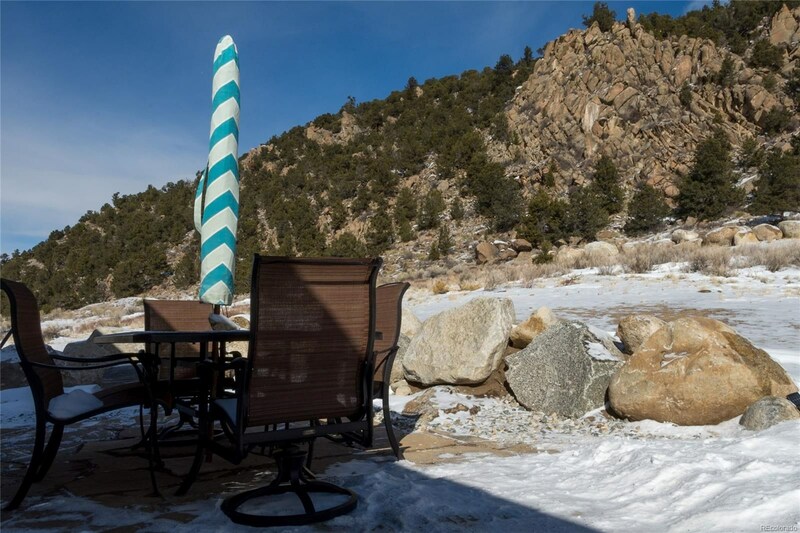 Beautiful new home in an amazing location close to the Arkansas River! 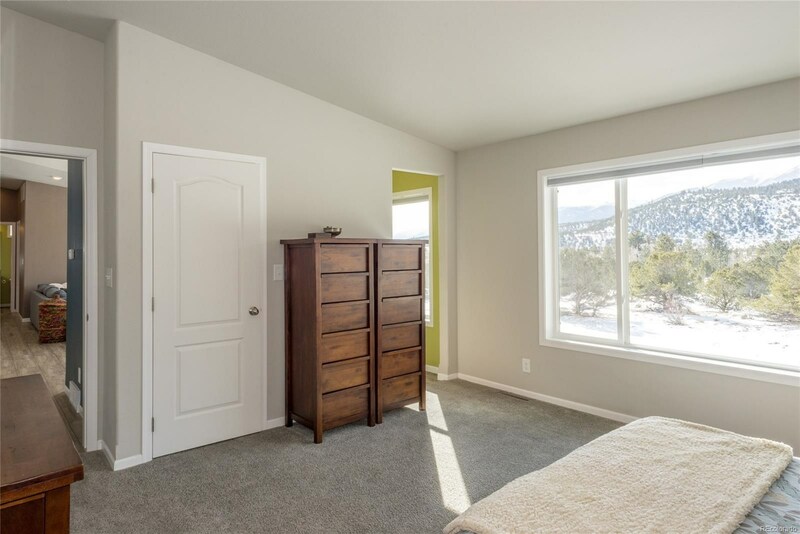 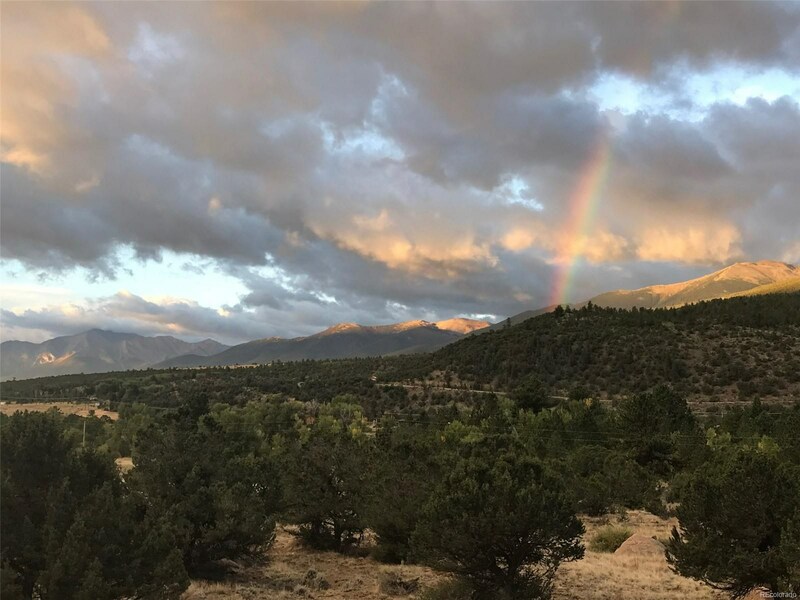 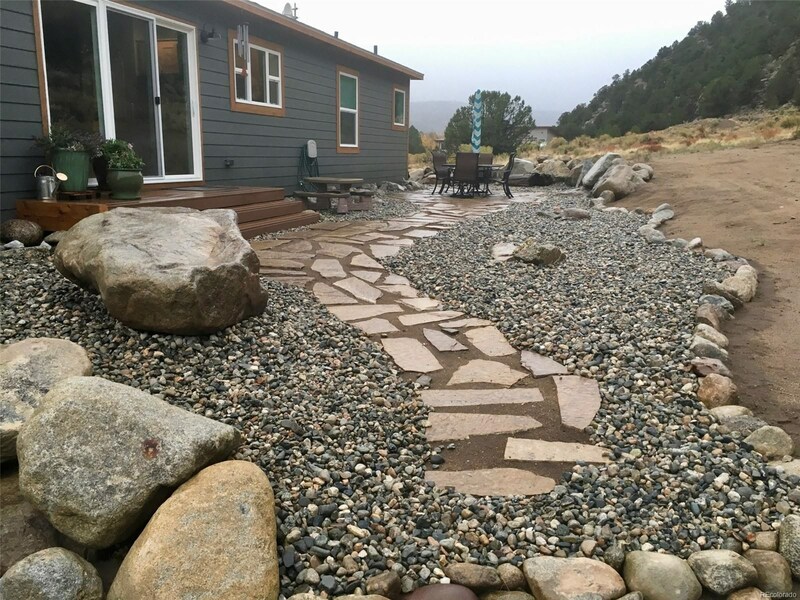 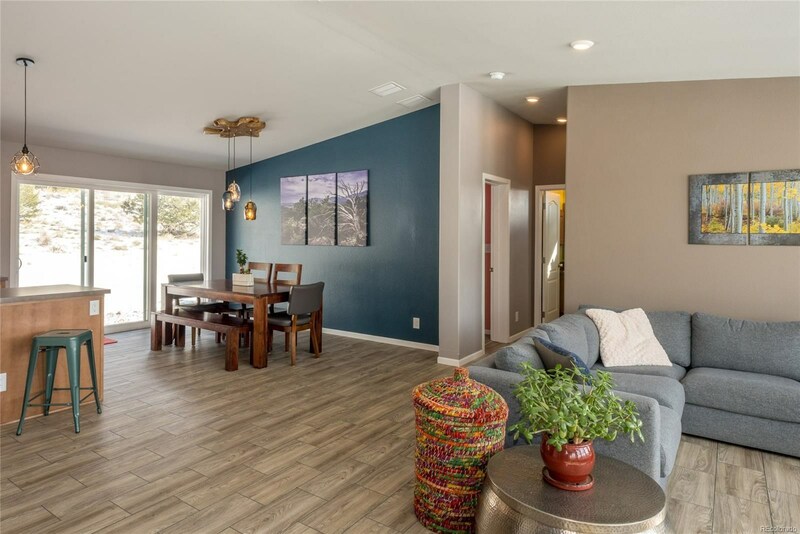 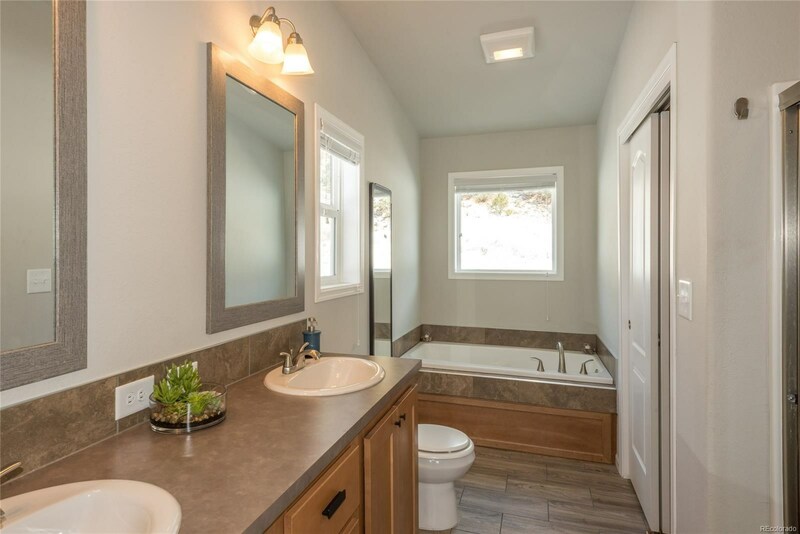 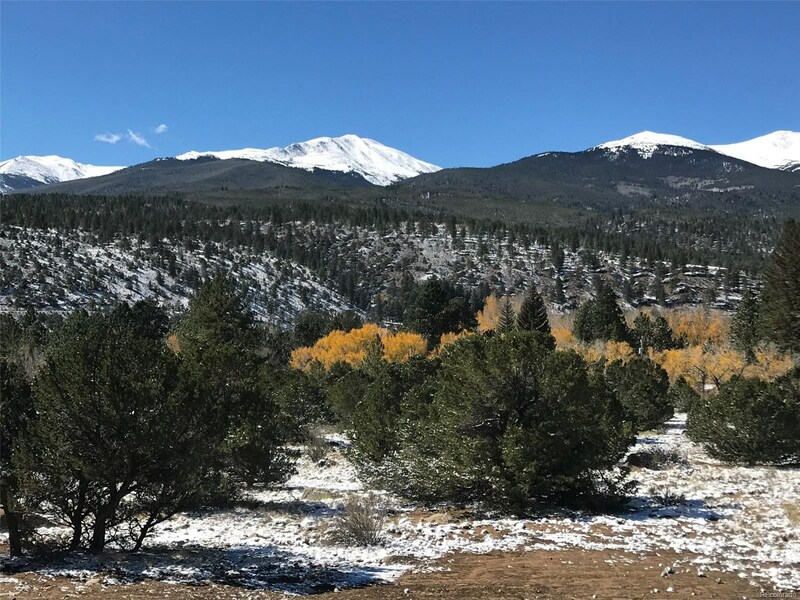 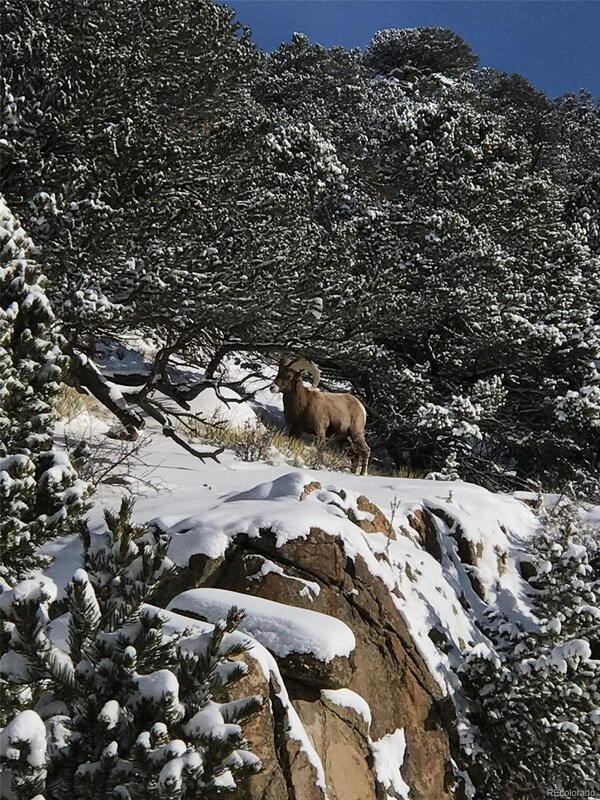 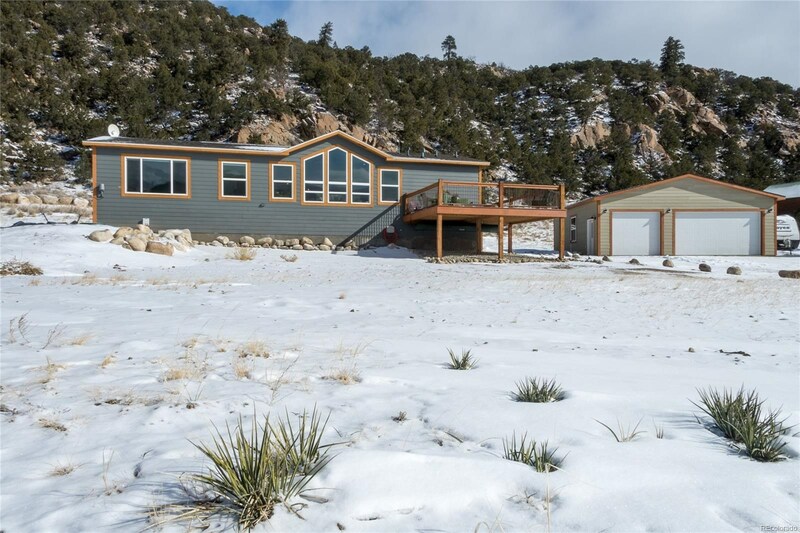 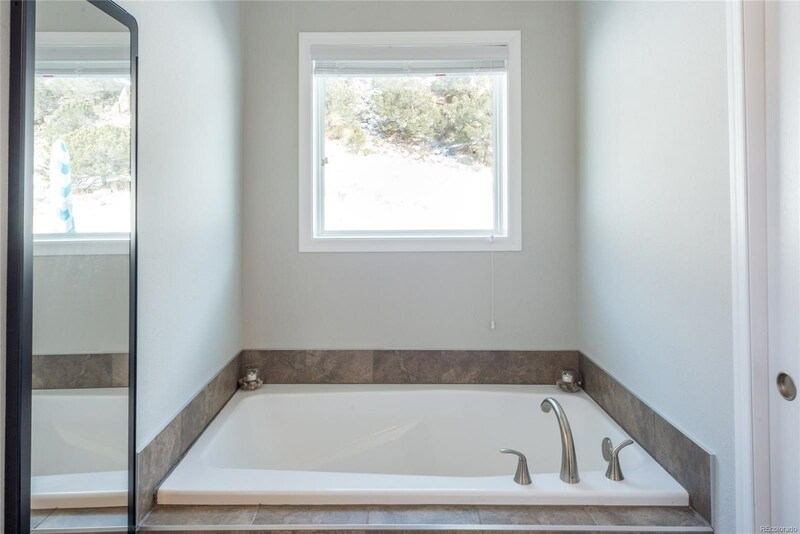 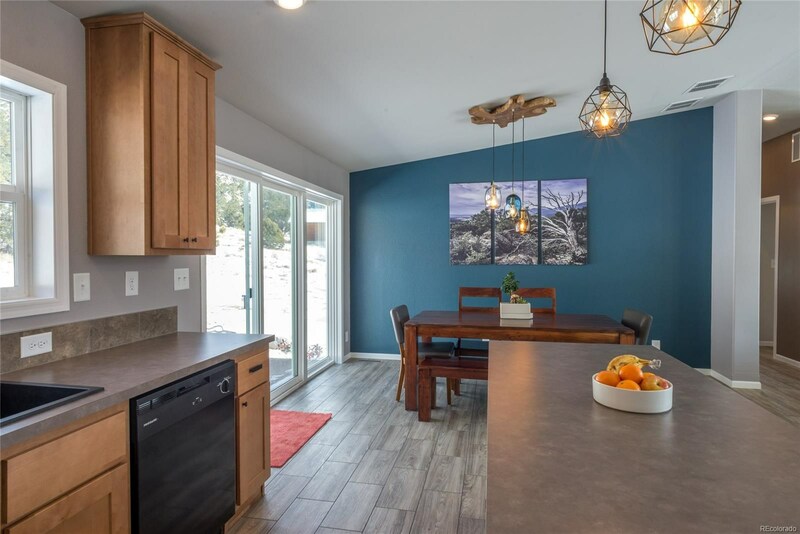 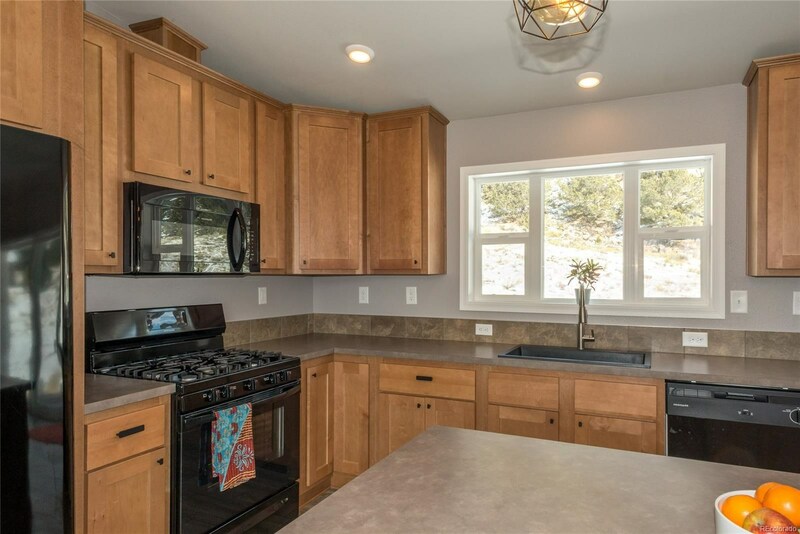 This home was built in 2018, features exceptional mountain views from every angle, and is located on a quiet and private 2.92 acre treed lot that is an easy 5 minute walk to the Arkansas River. 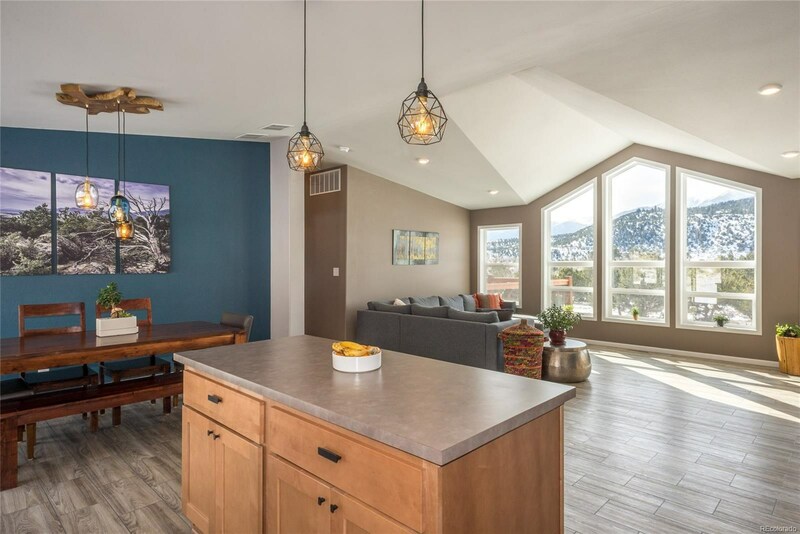 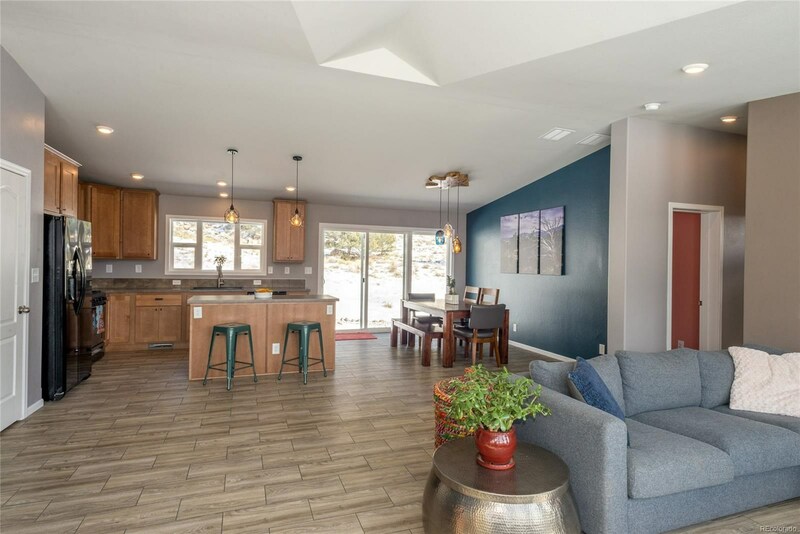 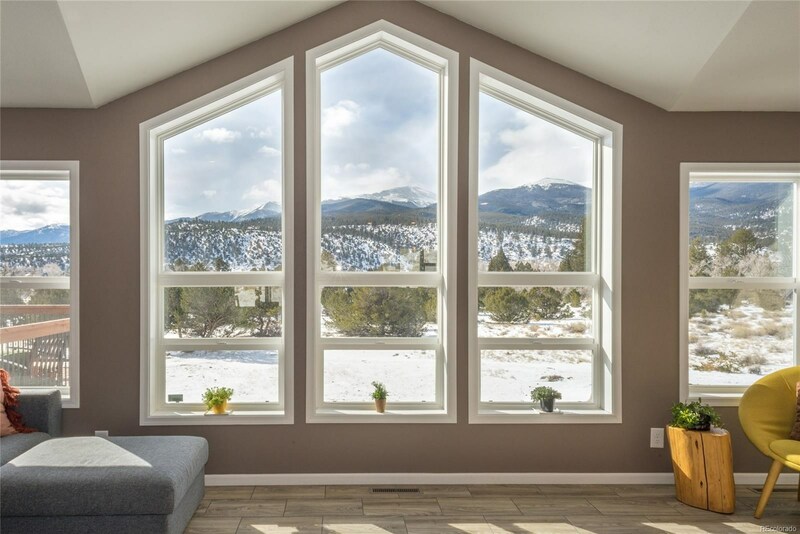 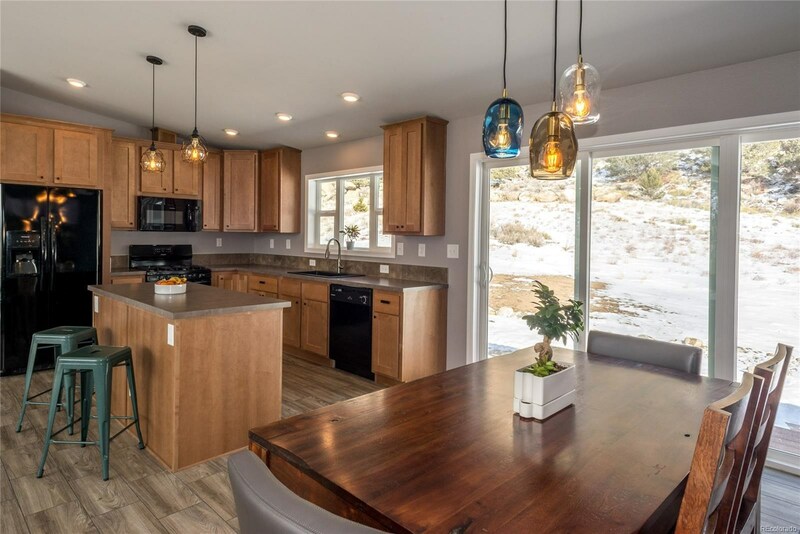 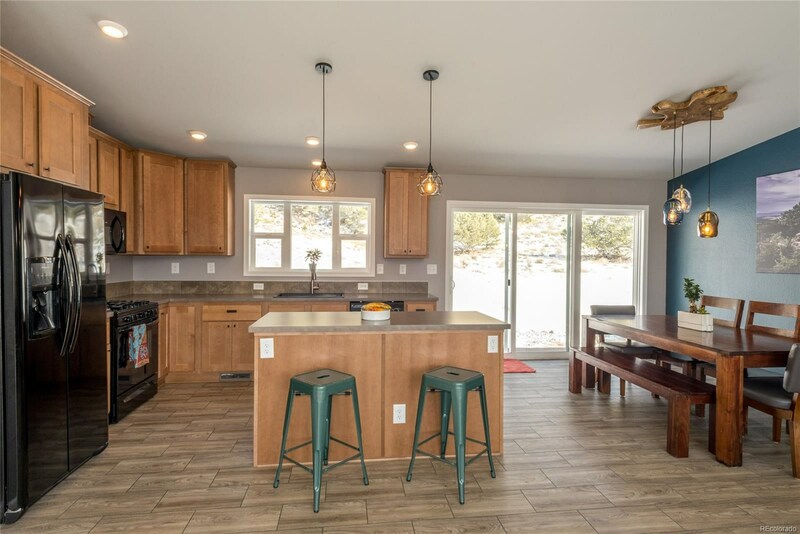 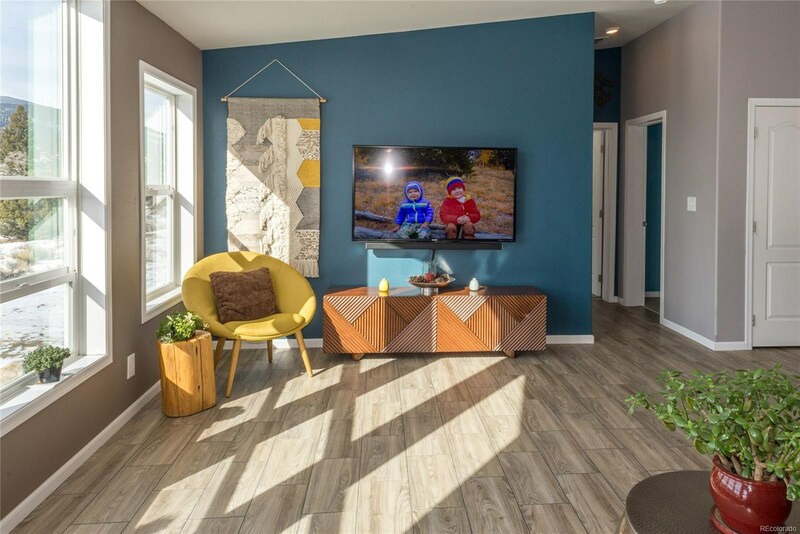 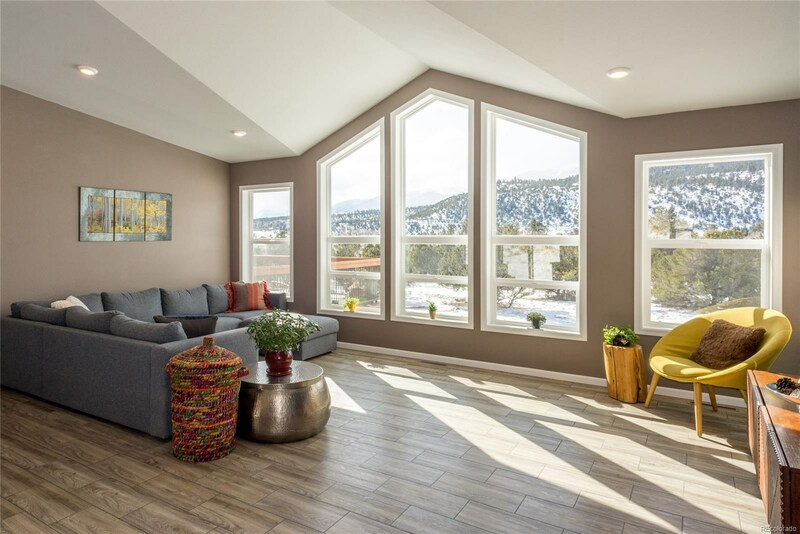 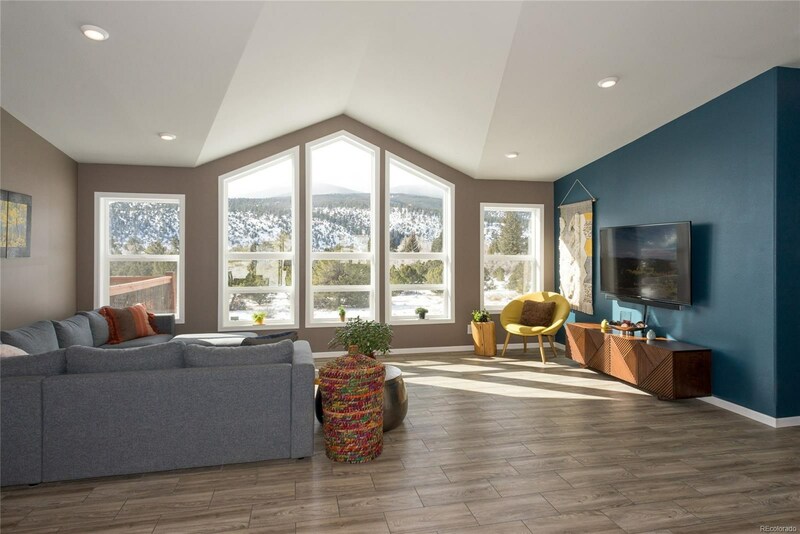 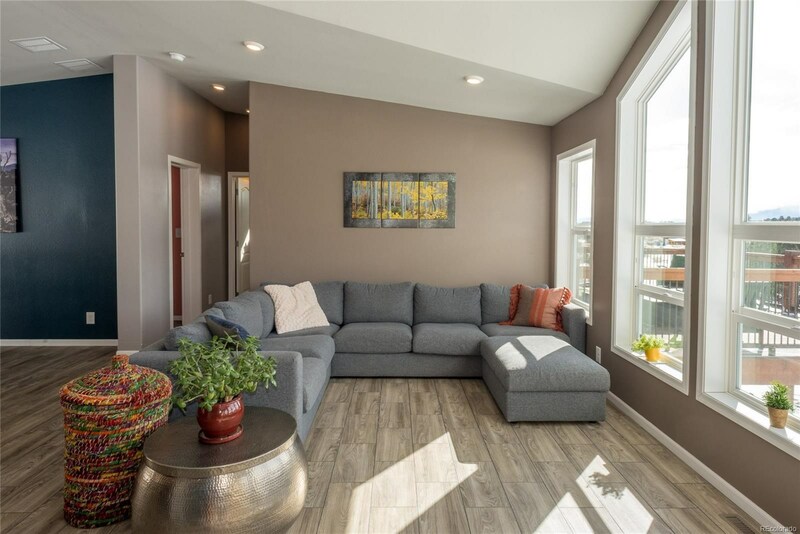 The home features an open living space with vaulted ceilings throughout and large expansive windows that bring in ample light and provide outstanding views of the Collegiate Peaks. 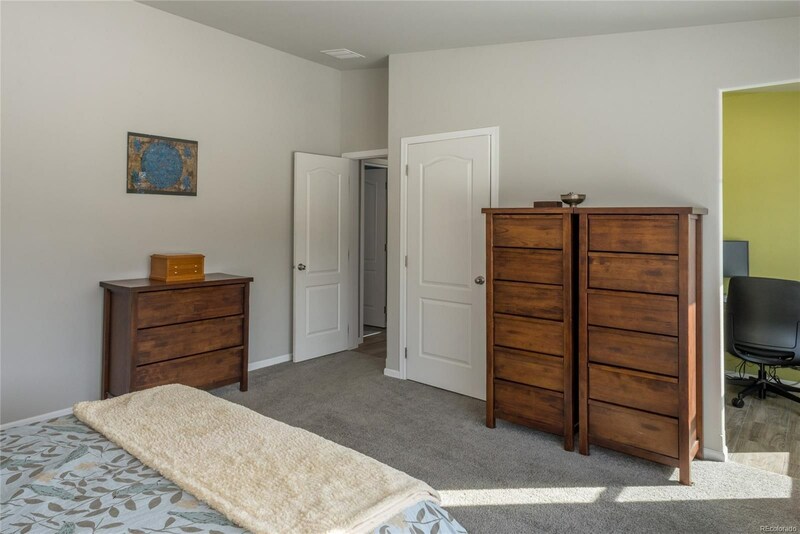 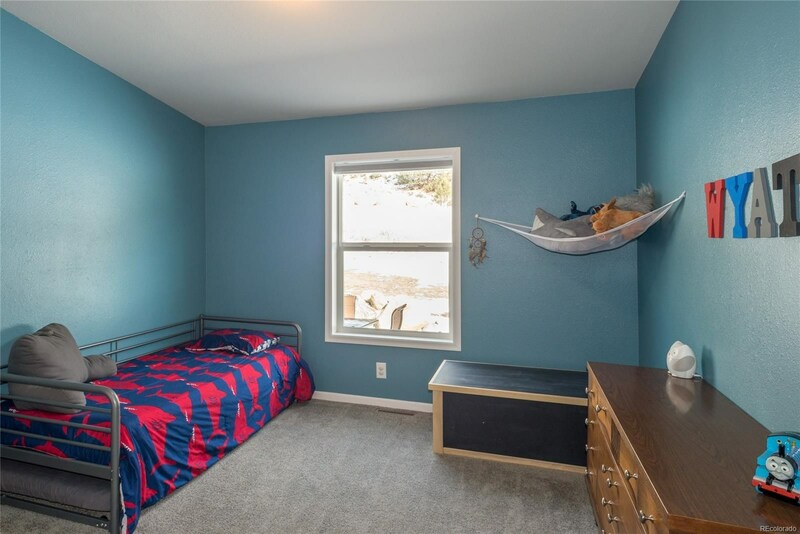 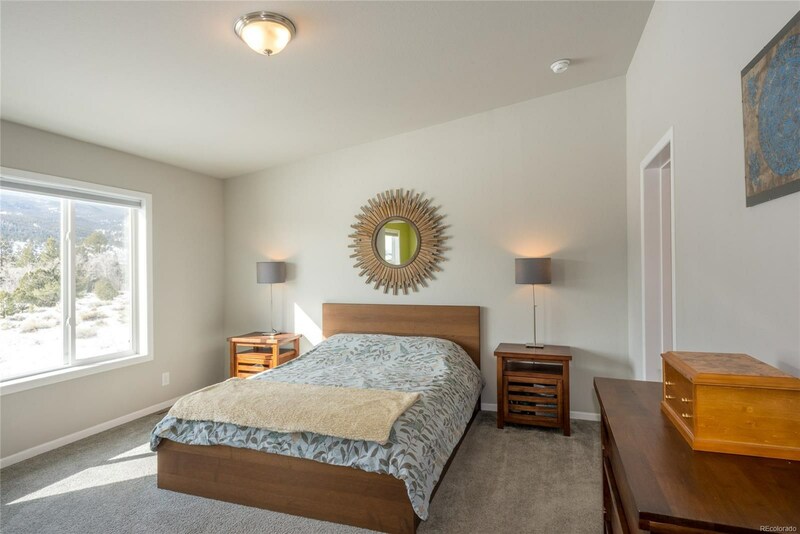 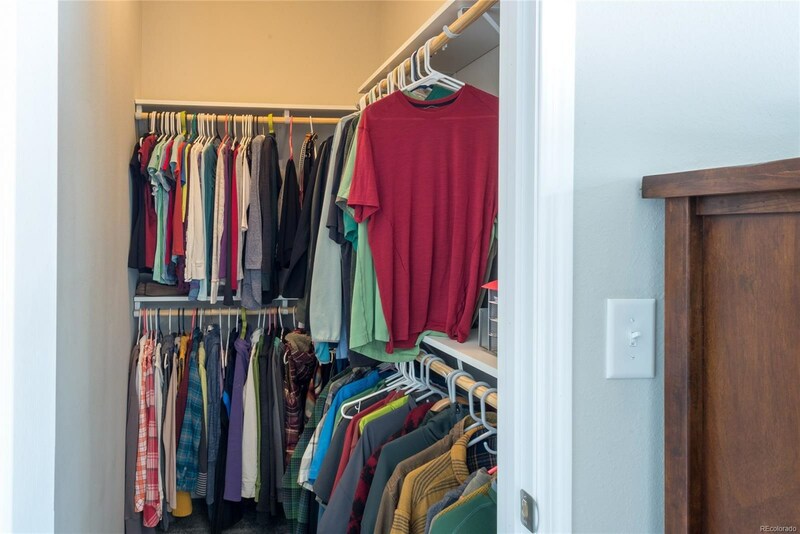 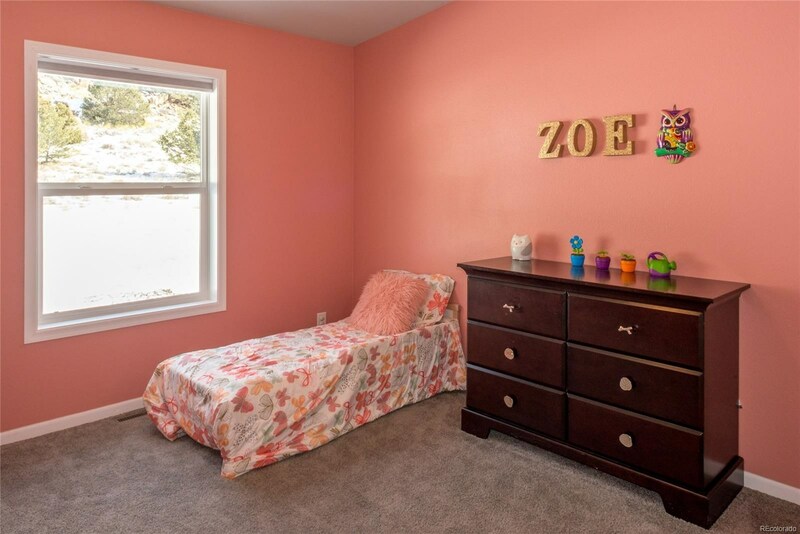 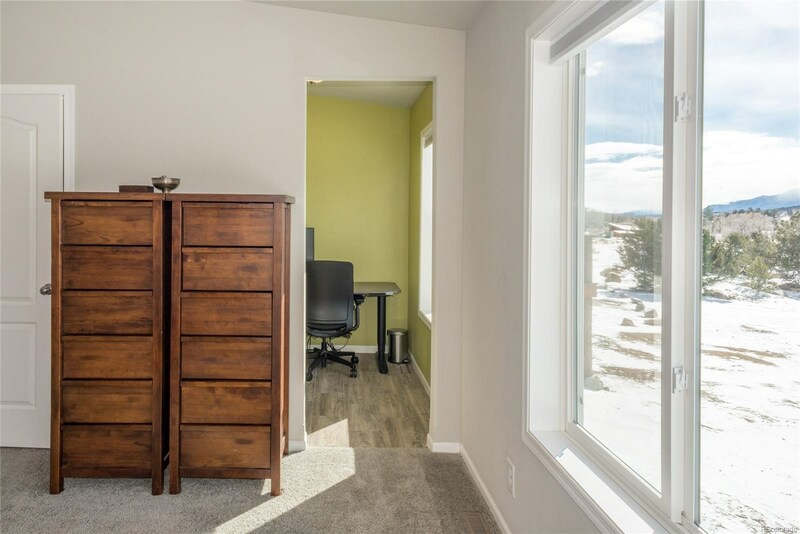 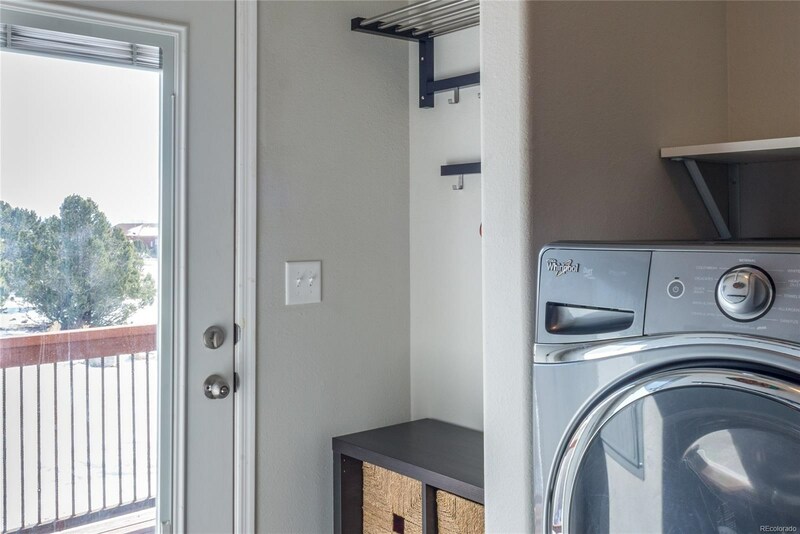 All bedrooms are generously sized., the master boasts two walk-in closets and a flex-space that is currently being used as an office. 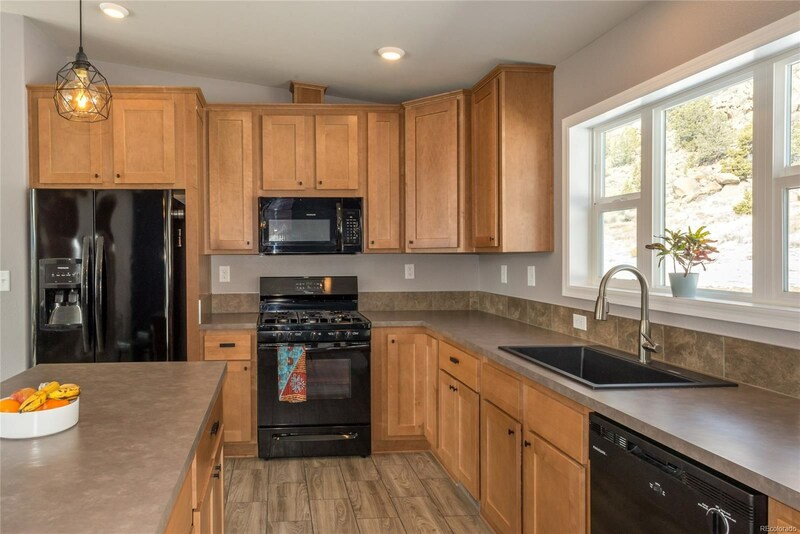 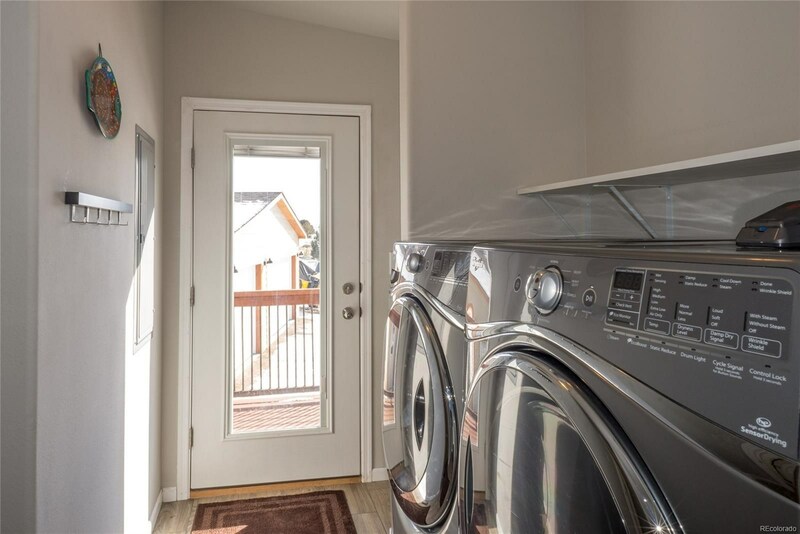 The upgraded kitchen has a large island, pantry, gas stove, and granite resin single basin sink. 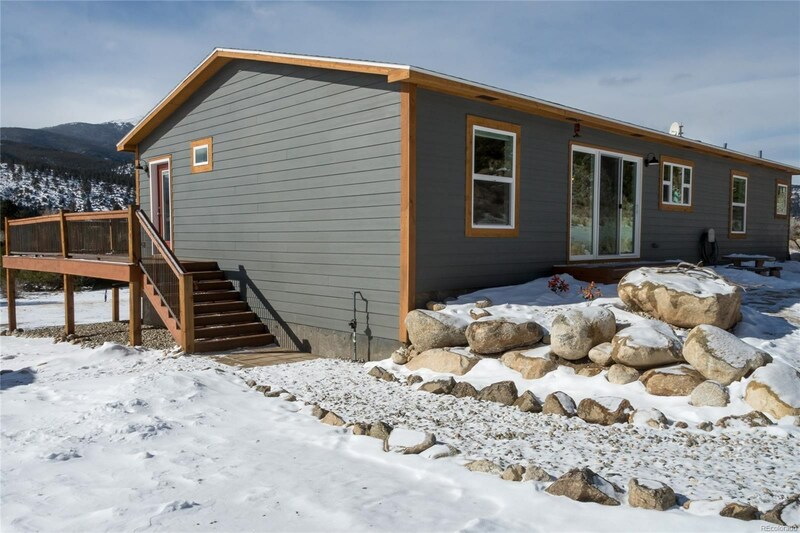 2x6 construction and excellent insulation make this an energy efficient home. 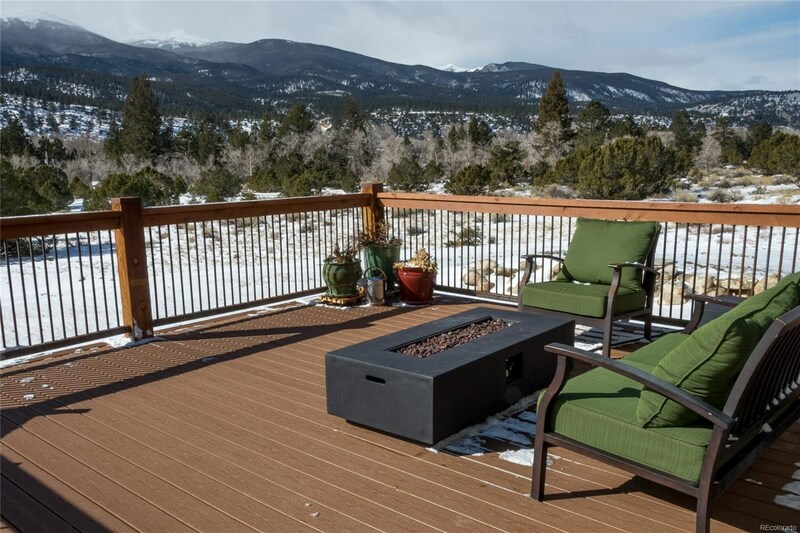 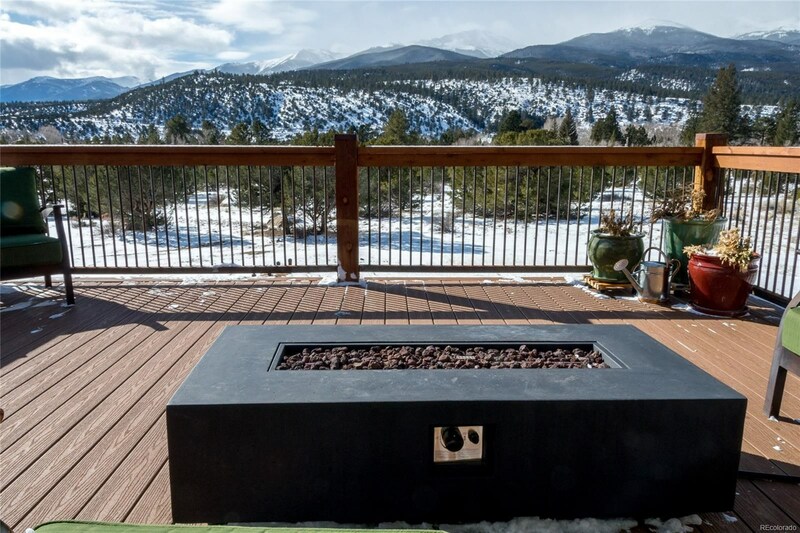 The large front deck and flagstone patio out back are great places to soak in the views or entertain. 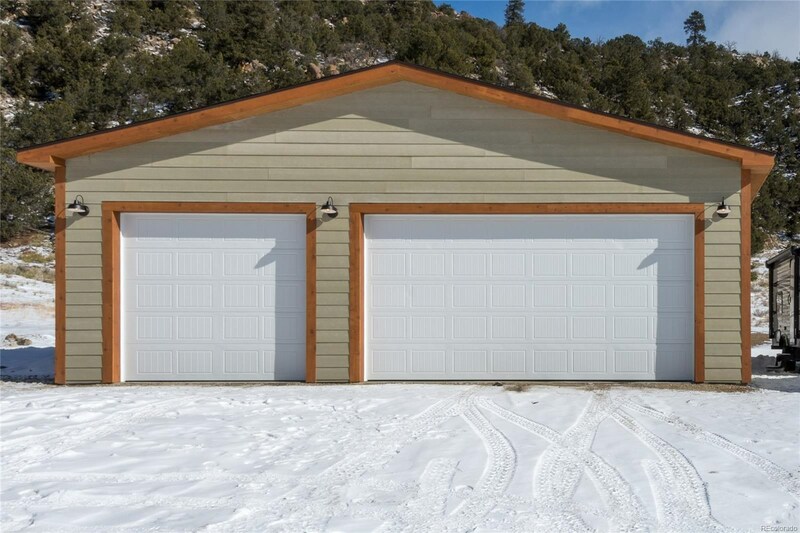 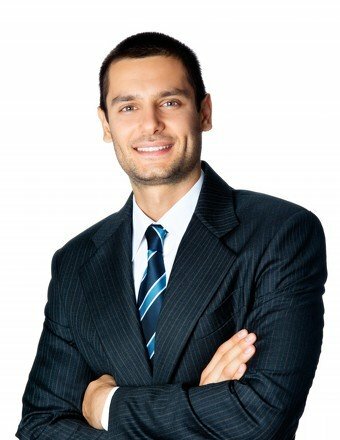 If you have cars, toys, or tools you will love the detached 3 car garage. 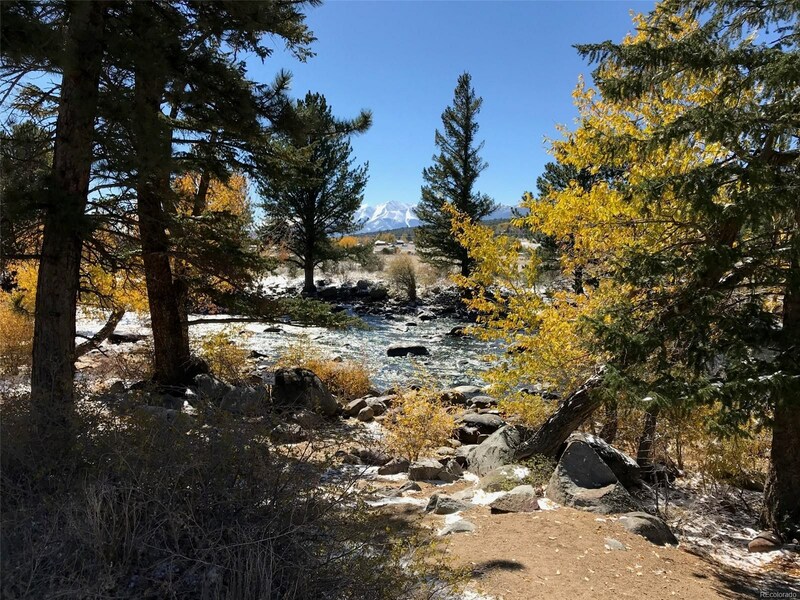 Open space, BLM, and endless recreation adjacent to this property.